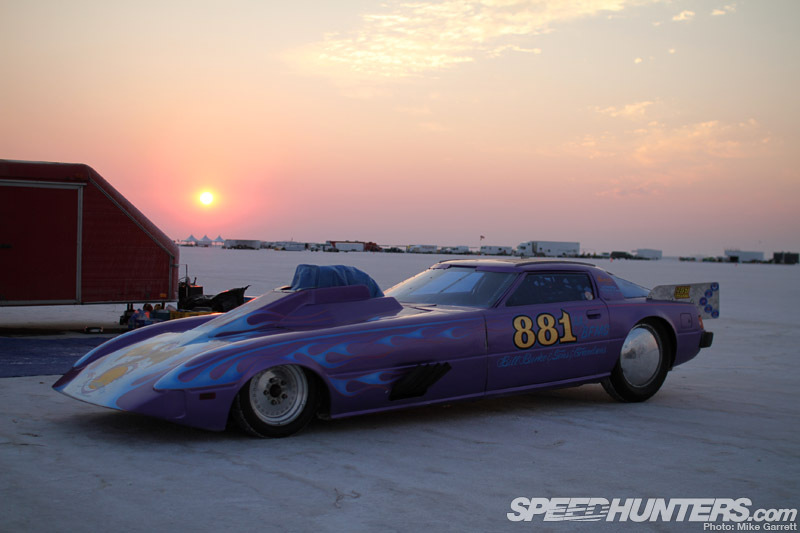 Prepped for only one thing: SPEED. The rear quarter window gives this one away: Datsun 240Z. 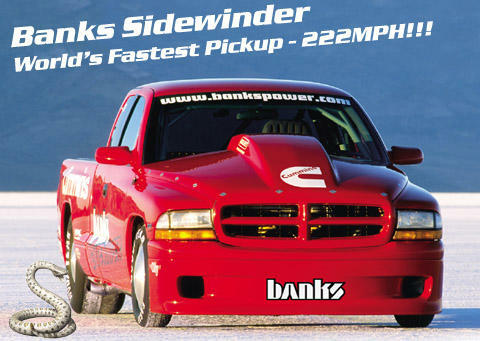 The Banks Sidewinder Dodge Dakota: World’s fastest pickup, and powered by a diesel. 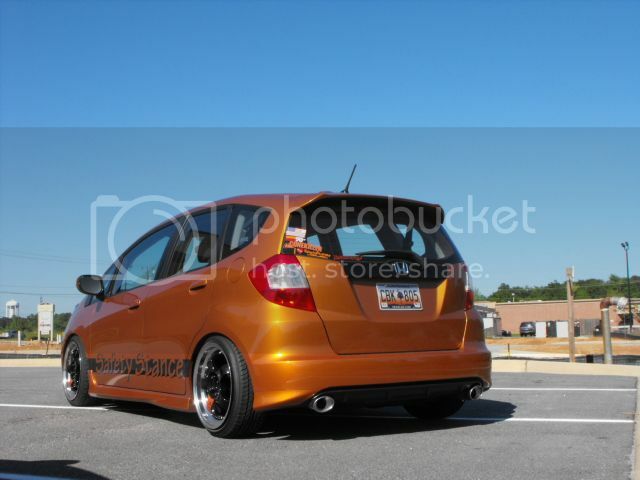 I will be doing a post on some of the Banks project vehicles sometime. 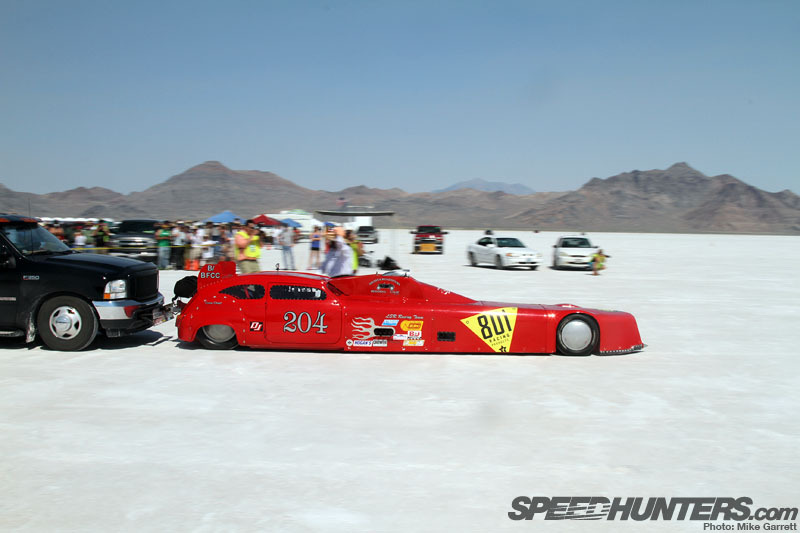 Would you believe this Salt Flats prepped Ferrari 575 Maranello was slower than the Dakota, only hitting a best of 212.6 so far? 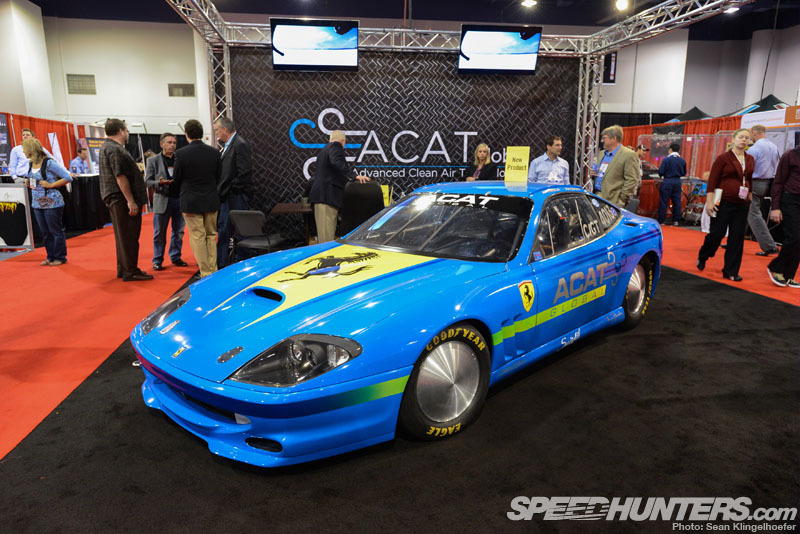 Can you believe this started life as a humble Fiat 600? 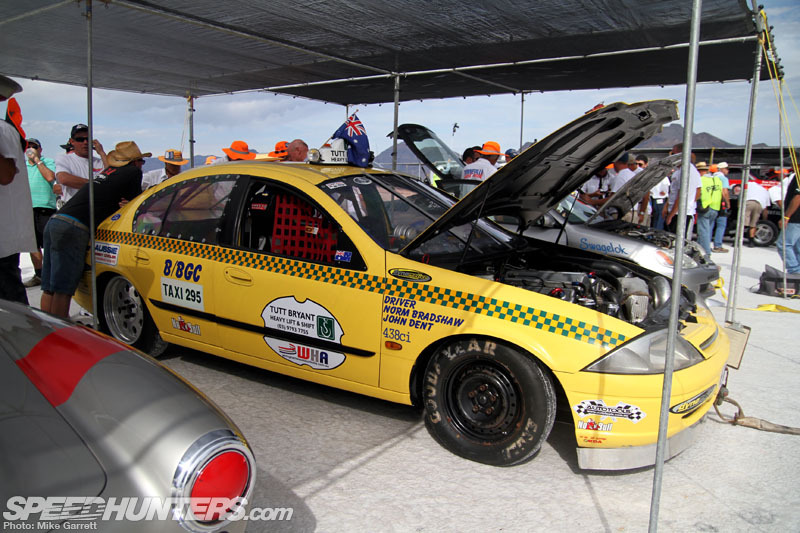 Thunder from down under: A Ford Falcon taxi? 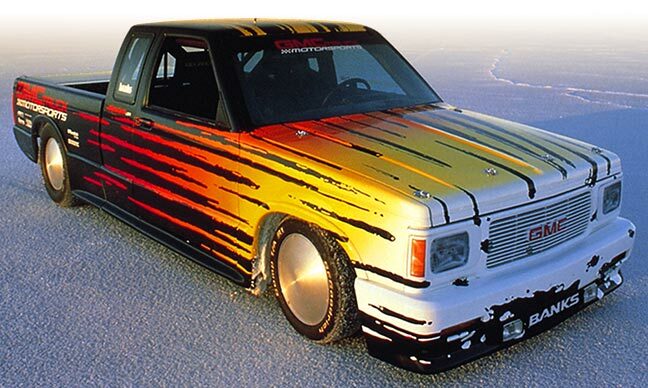 Dakotas aren’t the only pickups to play in the salt. 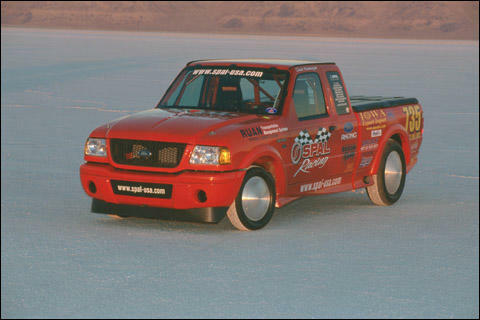 This Ford Ranger was mighty quick too. Banks yet again, a GMC Sonoma this time. 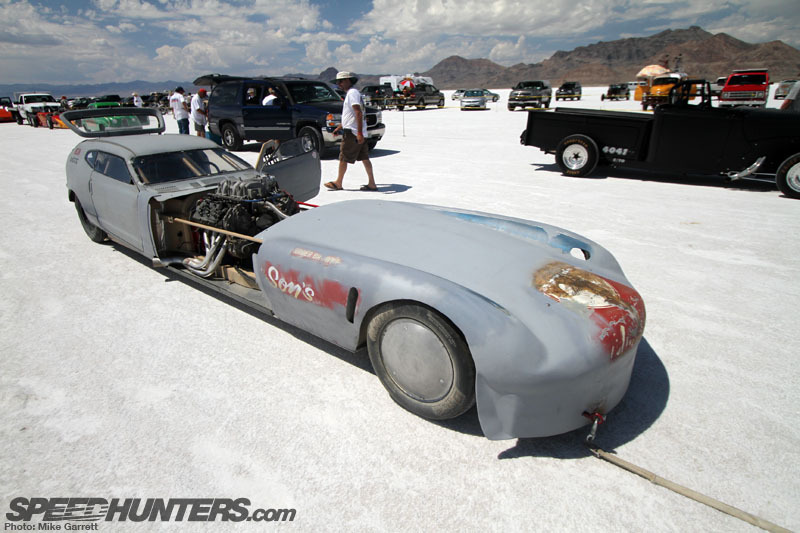 Note the engine and ridiculous front end on this Honda N600! 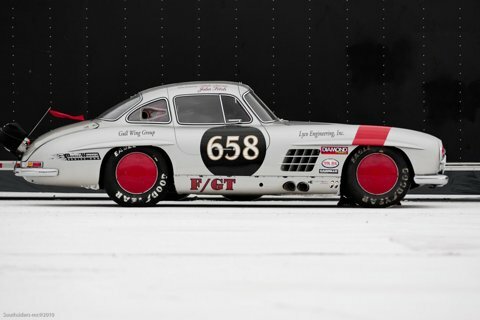 Maybe one of the most beautiful cars to hilt the salt, a Mercedes 300SL.